Today is Spring2ACTion! VéloCity Bicycle Cooperative is excited to be participating again in this Alexandria-wide initiative to raise $1.5 million for our city’s nonprofits. All money raised by VéloCity as a part of Spring2ACTion will help us buy tools and supplies for our workshop, thereby allowing us to reach more cyclists and get more kids riding bikes! 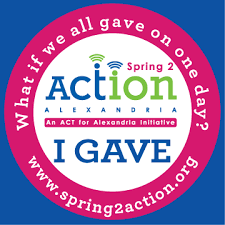 Help us expand our programs and contribute to the largest day of giving every year in Alexandria.